Finally, a Melbourne CBD cafe that specialises in nutrient-dense, paleo, refined-sugar free and clean food. 100% gluten free, this cafe features whole food and healthy drinks. Georgia, the chef, is a trained health coach, and a number of dietary requirements are catered for, including dairy free, vegan, vegetarian and paleo. Careful about sourcing ingredients to make sure that they're gluten free, all menu items are made from scratch, using wholefoods where possible. The result is nutritious food that's inspiring, energising and, most importantly, delicious! Grab yummy hand-made breakfasts, creative lunches and clean eating snacks on the way to work, or after a workout or yoga session, and enjoy the health benefits! Selections include home-made wholesome salads, frittatas, meatloaf, soups, smoothie bowls, sandwiches, pumpkin bread, sauces, plus more. Delicious sweet treats are available, and examples include caramel slice, brownies, raspberry & coconut friands, plus paleo and vegan tiramisu. All treats are sweetened naturally with fruit, or with small amounts of organic rice malt syrup added. Enjoy these with rainforest alliance certified, roasted coffee. Amidst a cosy cafe setting, takeaway food is the focus. That said, there's a small sit-down area with a community feel, where patrons can chat to the chef or barista. 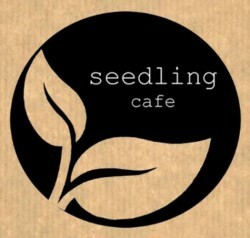 You'll also find Seedling Cafe at 275 Flinders Lane, Melbourne.